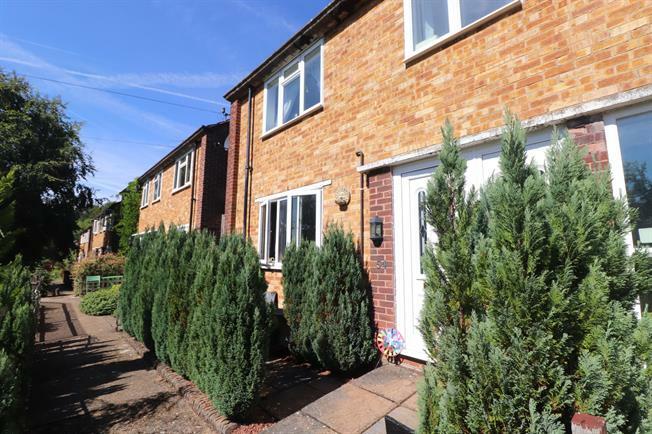 3 Bedroom Semi Detached House For Sale in Caterham for Asking Price £365,000. This good sized family home has been improved and extended and features a 19 open plan, double aspect lounge diner which opens onto a modern, refitted and redesigned kitchen. There is also a useful conservatory to the rear leading to the gardens. Upstairs, there are two good sized double bedrooms and a single room as well as a refitted family bathroom. The outside space is a particular feature of the property with a small, private garden at the front with established shrubs. The rear gardens have been substantially landscaped with level seating and patio areas with well stock mature shrubs and trees there are several levels of garden leading with an open outlook across the valley and surrounding area. The property also benefits from two garages at road level with associated parking spaces. With stairs to first floor, door to lounge, under stairs cupboard. Double aspect room with picture window to the front and patio doors to the conservatory. Open plan through to kitchen. Double glazed with door to to side and rear gardens. Space for washing machine and dryer. Boiler for heating and hot water. Refitted with a range of base and wall cupboard and drawer units in black gloss with granite work surfaces and integrated appliances. Space for fridge freezer. Tiled floors and wall. With doors to bedrooms and bathroom. Access to loft space. Front aspect double bedroom with a wooded outlook towards the valley. Rear aspect double bedroom overlooking the garden. Front aspect single bedroom over looking the valley. Fitted with a modern white suite comprising panel enclosed bath low level WC and wash hand basin. To the front of the property there is a small garden with shrubs surrounding. The rear the gardens are a real feature of the property with level seating areas with established plants and shrubs. To the rear of the garden is a timber shed. The gardens enjoy open roof top views over the surrounding areas.